The news article should be composed shortly after the GAME PLAY and completed as specified by your teacher. It can include photographic images as long as you received permission from the players and as long as the distribution of the article is limited to the students in the class. The word count should be between 350-500 words. 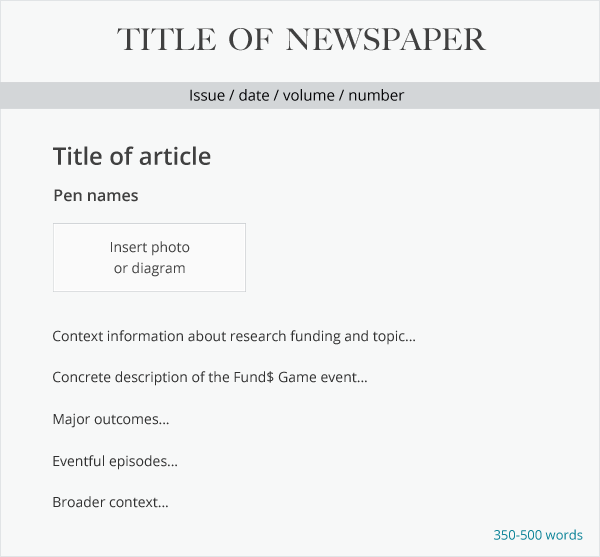 You can use the suggestions in this template to compose the article.